In a large frypan, cook chorizo until crisp and remove to a plate. Add garlic and onion and fry in chorizo oil until soft. Add paprika and fennel and cook until vegetables wilt. Stir in wine or stock and simmer for 5 mins to allow flavours to develop. 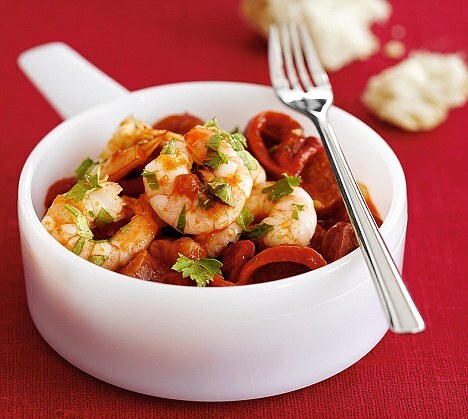 Toss in the prawns and chorizo and cook until prawns are opaque. Season with salt and pepper and serve with a sprinkle of parsley and a lemon wedge.